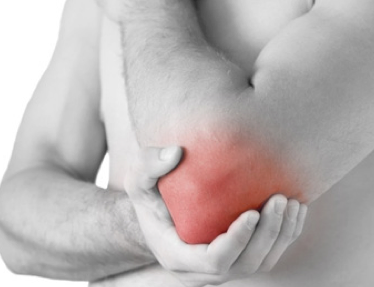 Distal biceps repair is a unique surgical process used when your elbow has sustained a serious injury. shoulder. There are tendons attached to this muscle which link directly to the bones. If these tendons are torn the strength in your arm and your elbow will become depleted and you will find it impossible to turn your palm either up or down. Once this area is torn the tendon will not naturally grow back and heal itself. The other muscles in your arm will still protect your elbow minimally but you will not be able to function at a regular level. If you do not have this area repaired surgically you will have permanent weakness in your arm. 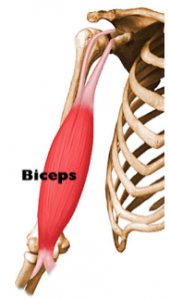 What are the causes of a torn bicep tendon? The main cause of this injury is a sudden injury to the area. If, for example you are falling and you extend your elbow straight out to help resist the impact of the fall it can cause an injury. If you try to lift a heavy box and he do not realize how heavy it is it can cause serious strain to the muscles and tendons in this area which will cause the torn bicep tendon. Men who are over the age of 30 or more likely to suffer from such an injury. forearm or bend your elbow. In some severe cases there is a large bulge which appears in the upper part of the arm or a visible gap between the elbows in the arm. It is imperative that this injury be treated within 2 to 3 weeks after the initial injury has been sustained. Unless there is a medical reason preventing you from having surgery surgical treatment is the most recommended option. Doctors can use multiple procedures to reattach the tendon to the bone either by stitching the tendon back together and drilling holes into the bone or two implant your tendon back to the bone. There are cases of possible complications associated with this repair process, the majority of which are standard surgical complications such as infection or severe bleeding. If you have concerns over this they can be discussed with your orthopedic surgeon before the procedure. Dr. Adam Farber with Phoenix Shoulder and Knee is one of the top sports medicine doctors in Phoenix. He is Board Certified and Fellowship Trained, and is an expert in shoulder and elbow surgery. Call (480) 219-3342 for more information and scheduling today!